According to legend, the city was founded by Remus (Romulus’s brother) who established Ancient Rome and it is suggested that the origins of the name Reims derive from this tale. Roman remains are still present throughout the city, such as the Mars Gate, said to be the only monumental gate remaining from the first part of the Third Century. In the Middle Ages, Reims prospered and traded mainly in cloth and other textile products. Champagne production and export began to expand during the reign of Louis XIV, and continued to grow into the 21st Century. Nowadays, Champagne production is Reims’ main source of trade and has developed the city into a national tourist attraction. The Industrial Revolution radically changed the appearance of Reims, as mansions began to replace the old timber houses and Grandes Marques Champagnes began to line the shelves. Next came the devastation of the First World War. 80% of Reims was destroyed during the German bombardments and during the conflict the Notre-Dame Cathedral was significantly damaged. Champagne production came to a halt, as the cellars were used as bomb shelters and underground tunnels throughout the war. Following the conflict, the city was rebuilt and was fortunately not as baldy affected by the Second World War. In the later years of WWII, Reims became home to the headquarters of General Eisenhower, where on the 7th May 1945, the first Instrument of Surrender was signed. Today Reims is one of the top 20 French cities for international visitors, primarily due to its captivating history and bubbly resources. 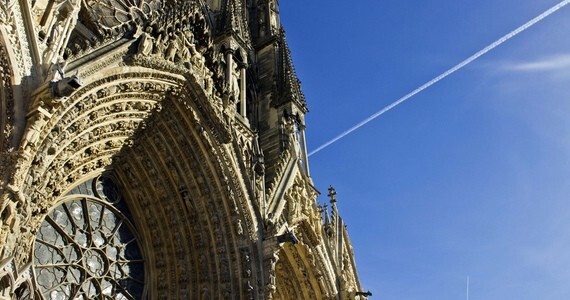 Grape Escapes would be pleased to arrange your Reims tour for you! 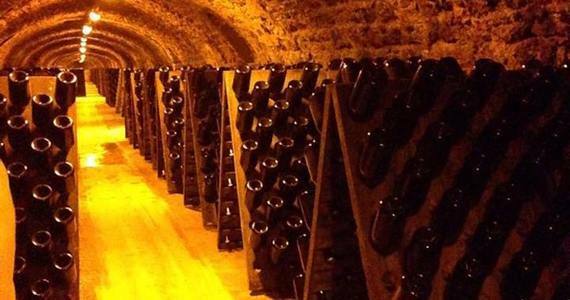 No trip to Reims would be complete without a visit to one of the many famous Champagne Houses located in the city itself. Producers such as Taittinger, Pommery, Veuve Clicquot, GH Mumm, Krug and Louis Roederer all have estates in this magnificent city, and have been considerably influential in shaping the city of Reims throughout the 21st Century. 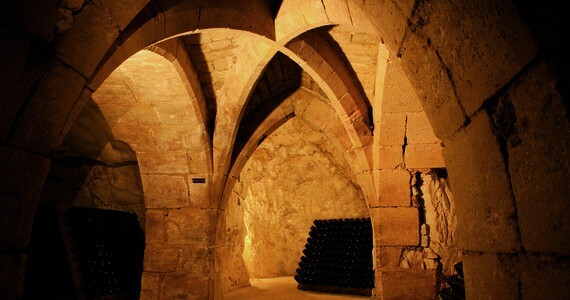 The majority of these estates do welcome visitors and you are invited to tour the extensive cellars, learning all about the fascinating Champagne making process from press to bottle. Reims is home to no less than three UNESCO world heritage sites including one of the finest Gothic Cathedrals in northern Europe. Better known as the City of Kings, the Notre-Dame Cathedral witnessed the coronation of 25 Kings of France. Built in the 13th Century, this is one of the most impressive sights in the city and is certainly not to be missed. Adjoining the Cathedral is the Palace of Tau, which was once the residence of the Bishop and Archbishop of Reims and is now home to a museum on the architecture and construction of the Cathedral. The Basilica of Saint Remis is also a point of interest for those who enjoy their history. The basilica became the final resting place for many of the early kings of France and was awarded UNESCO world heritage status in 1991. Set in a former Benedictine abbey house, there is also a museum dedicated to Saint Remi, which displays fine tapestries, as well as many items of archaeological and historical significance. A final element of authentic history that is not to be missed whilst in Reims is the Museum of the Surrender. Over-shadowed by the official surrender in Berlin, Reims was actually the home of the first Instrument of Surrender, 7th May 1945. The room in which this ground-breaking historical moment took place is still preserved to this very day. Located in a small unassuming room in what is now a secondary school, visitors literally take a step into the past, with the full size maps and battle plans still intact on the wall. With fine wine, comes fine dining and Reims boasts many culinary and gastronomic treasures. The city is home to four Michelin-starred establishments, including the double Michelin-starred Le Parc and the triple Michelin-starred L’Assiette Champenoise. Alongside the internationally renowned cuisine, are the traditional local delicacies.Try one of the city’s famous ‘pink biscuits’ (biscuit rose), which is one of the oldest French biscuits, which the Champenoise like to dip in their Champagne! Finally, Reims has a wide array of shops, from clothes boutiques to delicatessens. Taking the time to wander along the historical streets, whilst indulging in some retail therapy is essential during your stay in Champagne. We offer a wide array of Champagne breaks based in Reims, in an array of 3*-5* accommodation. Search for your ideal Reims tour, and if you can't find exactly what you are looking for, don't hesitate to give us a call!